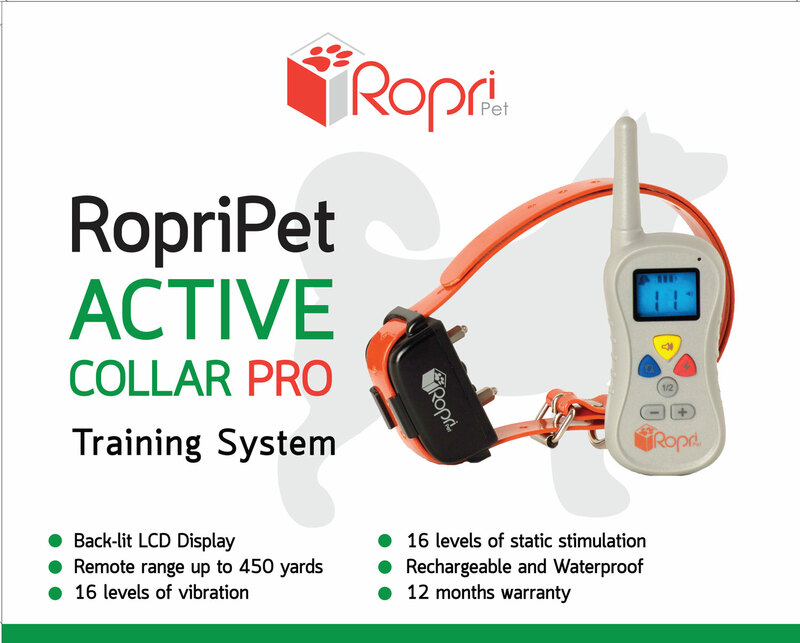 SEATTLE - June 29, 2016 - PRLog -- Ropri Corporation, manufacturer of the successful Active Collar Training System range of dog training products, has announced the release of the new Active Collar Pro Training System. The conception of the Active Collar Pro system has come following customer demand for enhanced features, according to Robert Lund, spokesperson for Ropri Corporation. 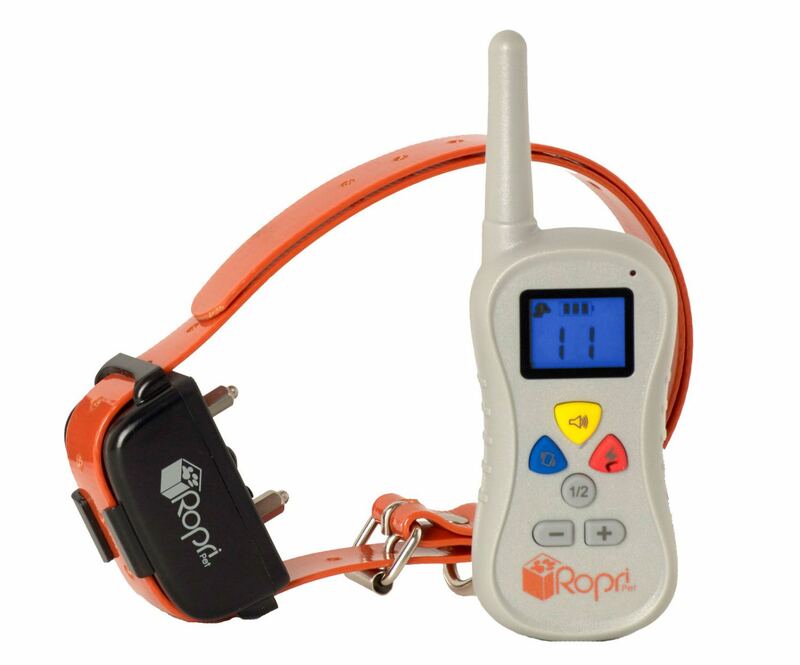 "Our customers have been extremely happy with our entry level offering in the remote dog training collar category, but many have asked for a more highly specified version. We spent months with our factory technicians developing the features our customers have been looking for and are now very excited to be launching the Active Collar Pro." Mr. Lund continued, "The most common feature requests have been for a longer operating range and easier to use menu system. Many customers who take their pets swimming in the local lake or beachside also wanted to leave their training collars on the dog when they ventured into the water." The Active Collar Pro improves on the standard RopriPet Active Collar with increased operating range to 450 yards, a 50% improvement over the Active Collar. It is also waterproof to international standard IP67 and features a simplified button layout with individual buttons for each training mode. Customers no longer need to scroll through the menu system to activate any of the three training modes as the Active Collar Pro features a dedicated button for each of the vibration, audible tone and static stimulation modes. 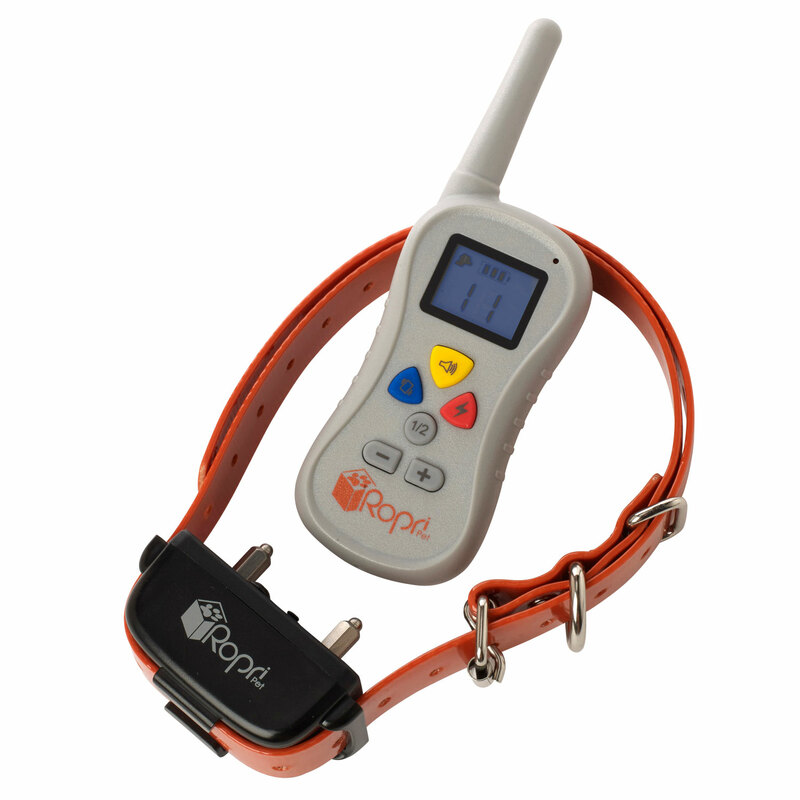 In addition, the remote transmitter is fitted with a belt clip and lanyard making it conveniently carried and instantly accessible for when a signal needs to be sent to the dog during training sessions. "We are looking forward to having our expanded training collar range available on Amazon.com within the week," stated Lund. "With the addition of the Active Collar Pro to our product line-up we now have an offering at the mid-range as well as budget level Active Collar." RopriPet is constantly on the look-out for innovative products that can be used in everyday life. They look for products that provide true value and suit today's modern needs.